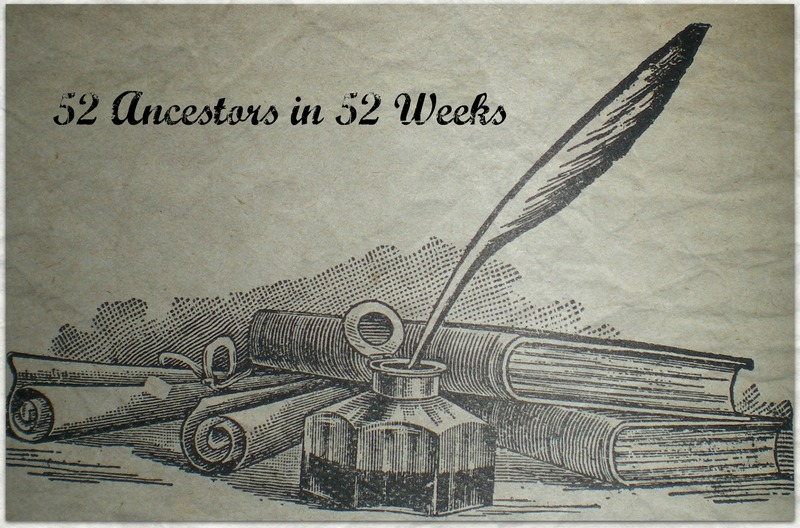 This is entry #29 in Amy Johnson Crow’s Challenge: 52 Ancestors in 52 Weeks. All of the entries on the page included “A true copy” except for this one. Does the original scrap of paper still exist? All entries for 1851 are in the same handwriting. I skipped back through the “Marriage records 1819-1852 vol 1” database at FamilySearch, 50 images at a time, and discovered that the entire volume appears to have been written by the same person, most likely at the same time. This would mean that it is a copy made at a later date. Is it a copy of the original book or a marriage record book made up from loose leaf papers found in the court house? Did the clerk who copied the Justice of the Peace’s information make a mistake? Did H. S. Lawrence, J.P., make the error in his records? In all records produced after this event, my Sarah Ann’s maiden name was spelled TREADWAY. TREADWELL or TREADWAY, that is the question! Children Calvin and Sally‘s death records have TREADWAY for the mother’s maiden name. Why am I worrying about one record which may have the name wrong? Because I wonder if it’s possible that they (Justice of the Peace and the clerk) got it right on the marriage record and records produced later were in error. To further complicate things, I don’t know who Sarah’s parents were. I have not been able to locate her in the 1850 census. I’ve tried all combinations of Treadway, Treadwell, and even Tracewell. In later census records she was listed as being born in Virginia and West Virginia. Her parents’ places of birth are also seen as Virginia or West Virginia. Since these are for the years 1860, 1870, 1880, and 1900 it is very likely that she/they was/were born in an area of Virginia that became part of West Virginia in 1863. As previously discussed in 52 Ancestors: #28 John COOLEY, Sarah was seen in the 1860, 1870, 1880 and 1900 census with her husband John COOLEY. I dug a bit deeper on the 1900 census this week and made a wonderful discover! At first glance the census listing for 1900 was overlooked as the surname was misspelled and John and his parents’ places of birth were seen as Mississippi instead of Missouri. A marriage record for John’s youngest daughter Minnie O. COOLEY helped to make the connection. Minnie married George WILSON (1849-aft. 1900) on 8 March 1900. She did not live long enough to be enumerated on the 1900 census but her widowed husband and a daughter from a previous relationship are seen living with John and Sarah COOLEY (misspelled Cowley) in Belva. It bothered me that George WILSON was listed as widowed and a boarder in 1900 as he had married the COOLEY’s daughter Minnie three months before the census was enumerated. Shouldn’t he be seen as son-in-law? When I first found the marriage record I noticed that under Remarks “mail Geo. Wilson” was written in on the register. When was it mailed in? Could the license have been dated 8 March 1900 but the marriage took place later? I dug deeper and found that George WILSON was not 50 years old as seen on the marriage and census entries. He was 12 years older, born about 1838 to John G. J. and Delilah WILSON of Wood County. This was the county where Sarah and John had lived when their first child was born. Could there be another connection? What to do? Whenever I am at an impasse I look at the children. Sarah’s daughter Minnie O. was the mother of two illegitimate daughters. The youngest was Ellen COOLEY whose 1894 birth record included the name of her father E. E. BAKER. Since she was not given the father’s surname I assume that her parents were not married. I found no trace of her after this. The older daughter was Nettie COOLEY who was seen as Jenett in 1900 with her COOLEY grandparents. No birth record was found for her. Does the line on the census where the surname should be mean a repeat of the head of household’s surname or of the person enumerated just above her? Could George WILSON have been her father? I followed Nettie through her marriage to Carl Iven GLENN in 1917 (no parents listed) and her death in 1926 (mother Minnie COOLEY, father not known). In the 1920 census Carl and Nettie were seen with her daughter Freda COOLEY age 8 and a brother-in-law (of the head of household) Charles E. HAYES age 8. As I had already laid Minnie to rest in 1900 I did not even consider that the HAYES boy could be a Nettie’s brother. Then I wondered if Nettie’s father might be a HAYES but without documentation this was only speculation. Not considering ALL possibilities had been a big mistake! I checked the births in Mason County for the parents of Charles E. HAYES. Luckily Mason has a birth register that is typewritten and in alphabetical order – many children were recorded without their given names. In 1911 I found a male child born on 25 January 1911 to Ben and Minnie HAYSE (sic). A quick search of the marriage records and I had Benjamin Sterrett HAYES Jr. age 60 marrying Minnie O. WILSON age 37 on 19 October 1910, three months before the birth of the child. 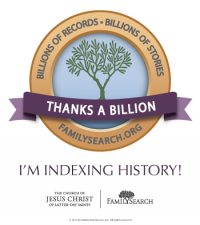 A search for Benjamin HAYES in the 1910 census clinched it! Minnie, housekeeper, and her children Nettie and Ellen are in Benjamin’s household and listed with the BAKER surname. Why BAKER on the census when she used WILSON a few months later when she married? Where are Ben and Minnie in 1920? Why was Charles seen with his sister Nettie in 1920? I knew that Nettie died in 1926 and that her widower had remarried. A search for Charles E. HAYES in the 1930 and 1940 census did not turn up any results. At FamilySearch.org using parents’ names to search I found Charles’ death certificate. He died in 1927, six months after his sister Nettie (both of tuberculosis), the informant was her widower Carl GLENN. Could this mean that Nettie raised her brother and her husband had taken over when she died? FAG Angela Harkins (#46845221) WV Mason Hambrick Cemetery Minnie O. Hayes, used with permission. Time to check Find A Grave, usually one of the last places I look for information. I should have tried there first as several of my questions were answered. Angela Harkins (FAG contributor #46845221) had photos of gravemarkers and information on Minnie and her daughter Ellen who married in 1912 and in 1915, had a son in 1916, and died a few days later. Her mother Minnie O. COOLEY died in 1919. There was no death records for either lady. However the mystery of Minnie O. Cooley’s whereabouts and death have now been solved. Ch 1: Calvin COOLEY (1853-1912) born 10 October 1853 in Parkersburg, Wood County, (West) Virginia. Calvin married Mary MacNeal CAMDEN (1855-1931) on 14 November 1872 in Cooper Township, Mason County, West Virginia. They had 10 children. Calvin died on 10 June 1912 in Columbus, Franklin County, Ohio. His widow never remarried. Ch 2: Melissa F. “Lucy” COOLEY (1855-1898) born about 1855 in Cedarville, Ohio. Melissa married Henry Hartman BIRD (1833-1900) on 19 March 1871 in Meigs County, Ohio. Henry was a widower with 4 children. Melissa and Henry had 10 children. She died 23 March 1898 in Bashan, Meigs County, Ohio. Her widower is not known to have remarried. Ch 3: Harrison COOLEY (1859-1870) born about 1859 in Missouri. Harrison died before the 1870 census. Ch 4: Tabitha Ann “Tobitha” COOLEY (1861-1913) born 11 February 1861 in Ohio. Tobitha married Alexander CLONCH (1842-1910) on 19 August 1880 in Gallipolis, Gallia County, Ohio. Tobitha and Alex were the parents of 9 children. She was widowed in 1910 and died on 16 December 1913. Ch 5: Sarah Ann “Sallie” COOLEY (1865-1939) born 25 June 1865 in West Virginia. Sallie married Joseph Riley WAUGH (1860-1921) on 14 March 1882 in Gallia County, Ohio. Sallie and Joseph had 10 children. She was widowed in the 1920s and died 7 December 1939 in Standard, Kanawha County, West Virginia. Ch 6: Robert Ulysses S. Grant COOLEY (1868-1882) born about 1868 in Arbuckle District, Mason County, West Virginia. Robert died on 2 November 1882 in Arbuckle District, Mason County, West Virginia. Ch 7: Ida COOLEY (1870- ) born 5 April 1870 in Letart Township, Meigs County, Ohio. No record has been found for her after the 1880 census. It is not known if she ever married or had children. She is the next mystery child who needs to be solved. Ch 8: Minnie O. COOLEY (1873-1919) born 3 May 1873 in Arbuckle District, Mason County, West Virginia. Minnie had two illegitimate daughters, one with E. E. BAKER. Minnie married(1) George WILSON (1838-1900?) on 8 March 1900 in Dixie, Fayette County, West Virginia. She married(2) Benjamin Sterrett HAYES (1850-aft. 1911) on 19 Oct 1910 in Mason County, West Virginia. They had one son. Minnie died on 21 December 1919. Ch 9: Timothy COOLEY (1876-1913) born 6 June 1876 in Hannan District, Mason County, West Virginia. Timothy married Lilly E. CROOKSHANK (1879-1961) on 19 September 1897 in Clay County, West Virginia. They were the parents of five children. Timothy died in December 1912 or 1913 (not confirmed). His widow remarried, had two children with her 2nd husband, divorced, married again, divorced, and went back to using the COOLEY name until her death. Sarah Ann TREADWAY died sometime after the 1900 census. No death record has been found for her or her husband John COOLEY. They were in their early 70s when the 1900 census was enumerated and it is likely that they died before the 1910 census. However, as there is still the possibility that they were missed in 1910 and died before 1920, I continue to list them as died after the 1900 census. I hope that you’ve enjoyed reading about how I go about solving these little problems in my family tree. I didn’t mean for this to turn into a research lesson. What would you have done differently? Your comments may help me with Sarah’s daughter Ida COOLEY. I find your posts amazing knowing you are writing from abroad! 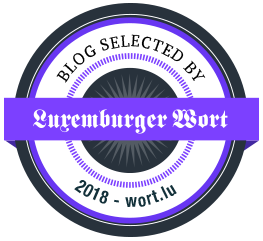 You pay close attention to detail as some other genealogical bloggers do– so important in this detective work we do! Very interesting! We all have our styles, and I like yours very much? I find it educational as well as interesting! Thanks for the gifts! Helen thank you so much for the compliment. I really appreciate hearing from people who read my posts and positive input is always the best! I think that my being abroad may be a plus as I can’t just get up and go to the courthouse or wherever to do the research. This forces me to be more creative in my research. I’m enjoying the writing. I don’t think I’d do anything different. But I feel your pain over that “boarder” vs “son-in-law” entry. I’ve seen young nieces and nephews regarded as “boarders” and think, Man, that’s cold! I wonder if they actually paid a little rent for room and board. To me, boarder or renter does sound like they were paying to live in there. However with my Cooleys I know that they were elderly and it was no longer easy for Mr. Cooley to work long hours as he did when he was young. It’s hard to imagine what their lives were really like when they didn’t leave much of a paper trail. Thank you Wendy for stopping by.